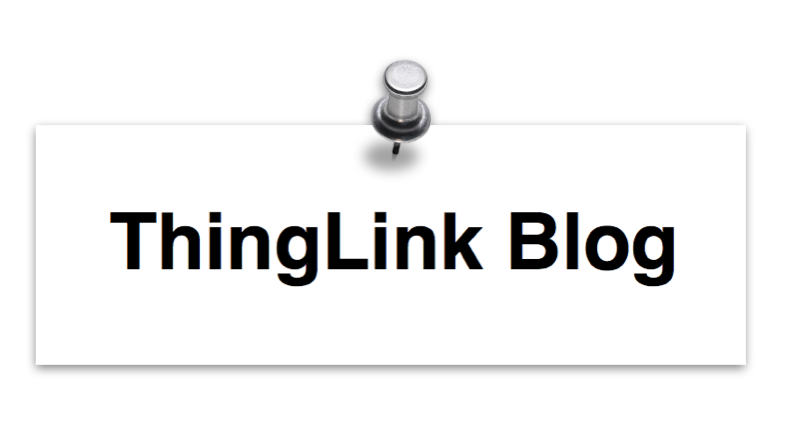 Here is a collection of resources, media, and mentions. 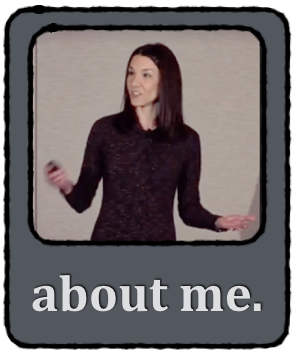 Each static visual is also a link to the content, so feel free to click around! 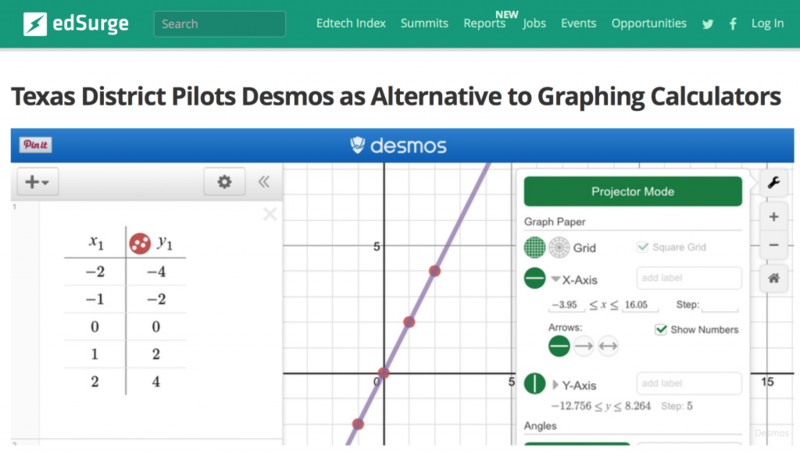 Are you using Desmos? Activity Builder? Polygraph? 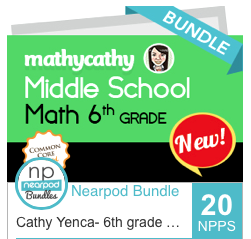 Classroom change is happening thanks to this versatile tool! 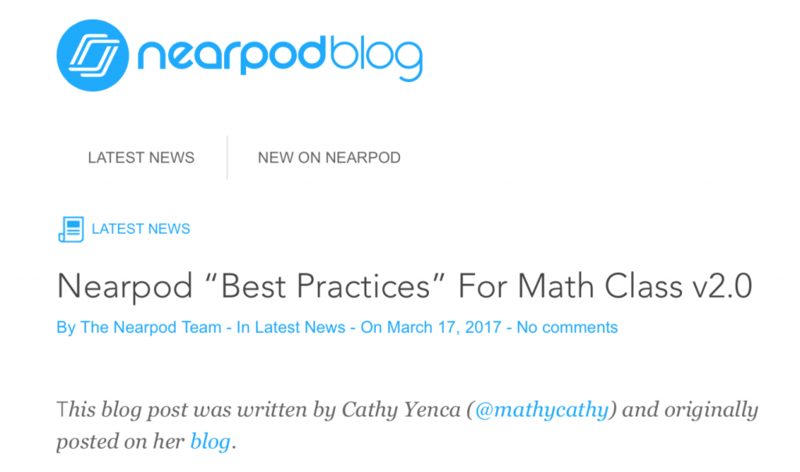 The Nearpod Blog mentions tips for integrating Nearpod effectively in a mathematics classroom. Check out tips #6 and #10 by clicking below! 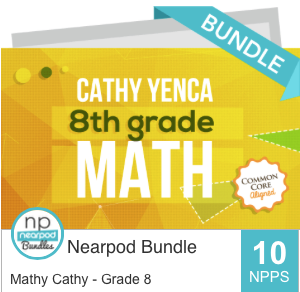 Here are Nearpod lessons for grades 6 and 7, aligned with the Common Core State Standards for Mathematics, from my classroom to yours. 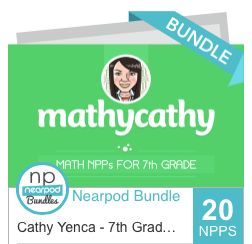 Additionally, Nearpod was gracious enough to interview me and feature my lessons! 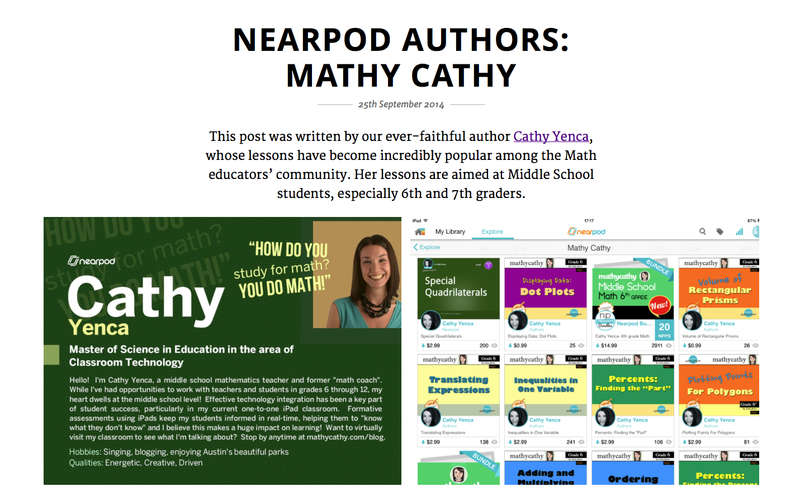 Being a Nearpod Author rocks – thanks again for the feature, Nearpod! 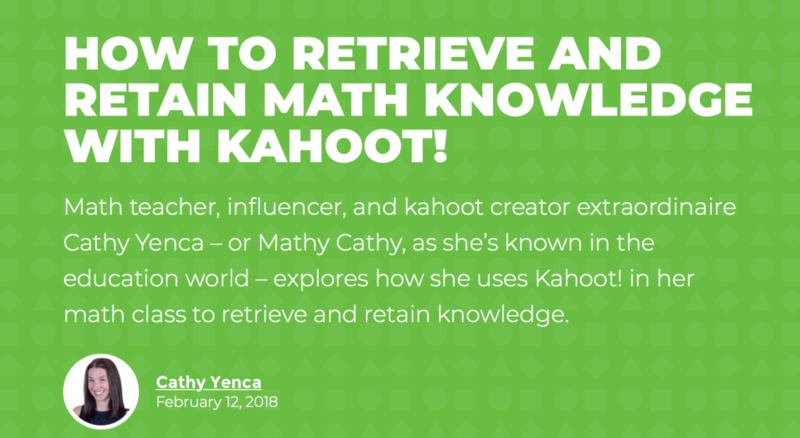 Check out this post, featuring ways to use Kahoot! 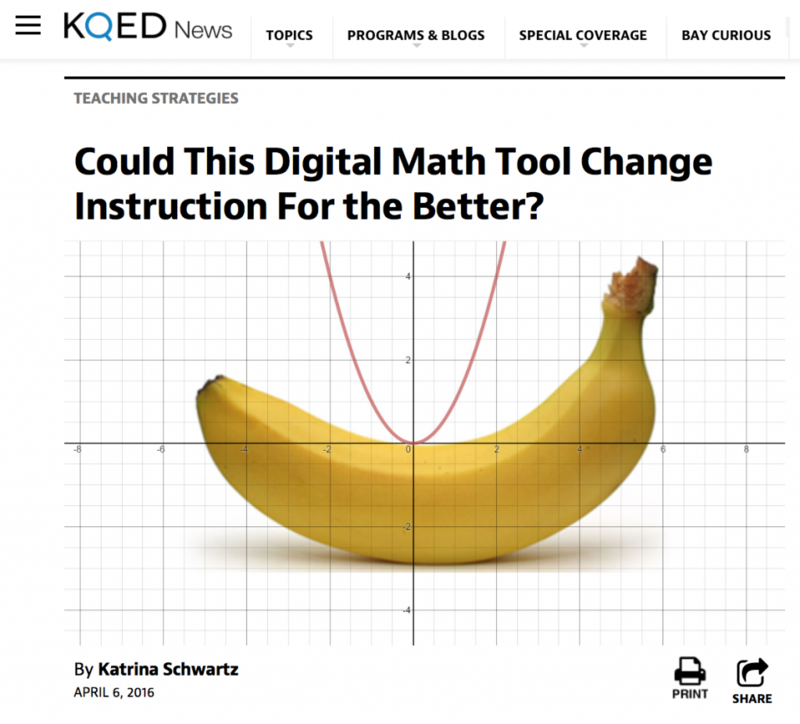 in math class, and Kahoots! aligned to Texas math standards (TEKS)! 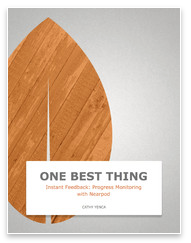 Here’s my “One Best Thing” free multi-touch book, which helps teachers learn strategies to utilize Nearpod for formative assessment, progress monitoring, and instruction. 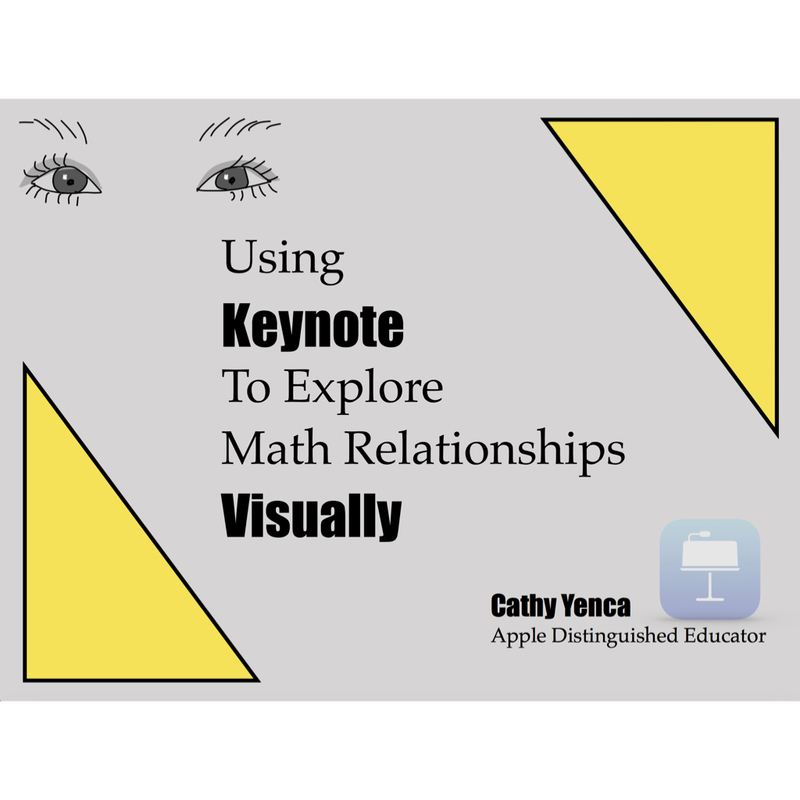 This resource was designed as a part of the Apple Distinguished Educator Institute I attended in 2013. There’s a collection of them if you are looking for other topics too. 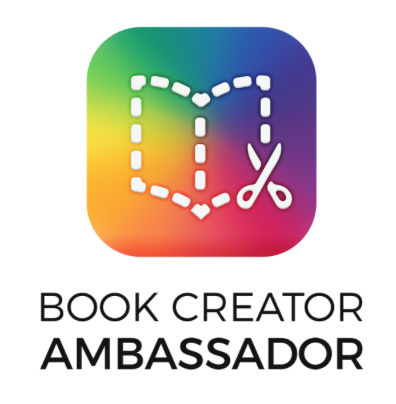 Here is an iTunes U course that features a student authoring project my students have enjoyed using the Book Creator app. 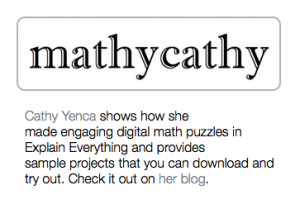 You can access the course on iTunes and give it a try with your own students. 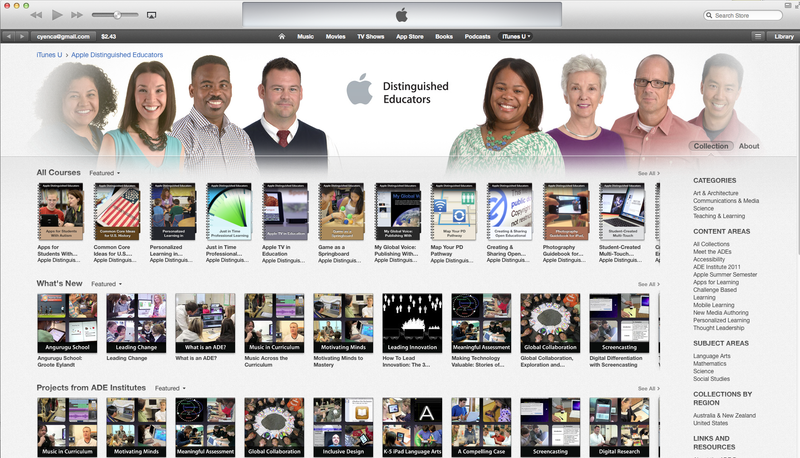 Honored to be featured on the ADEs on iTunes U page! 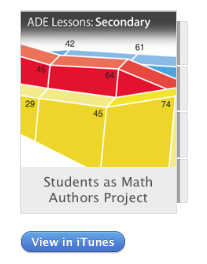 Book Creator featured our mathematics authoring project on the Book Creator Blog! 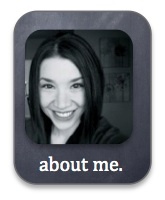 Read about how my students became textbook authors and see samples of their work. 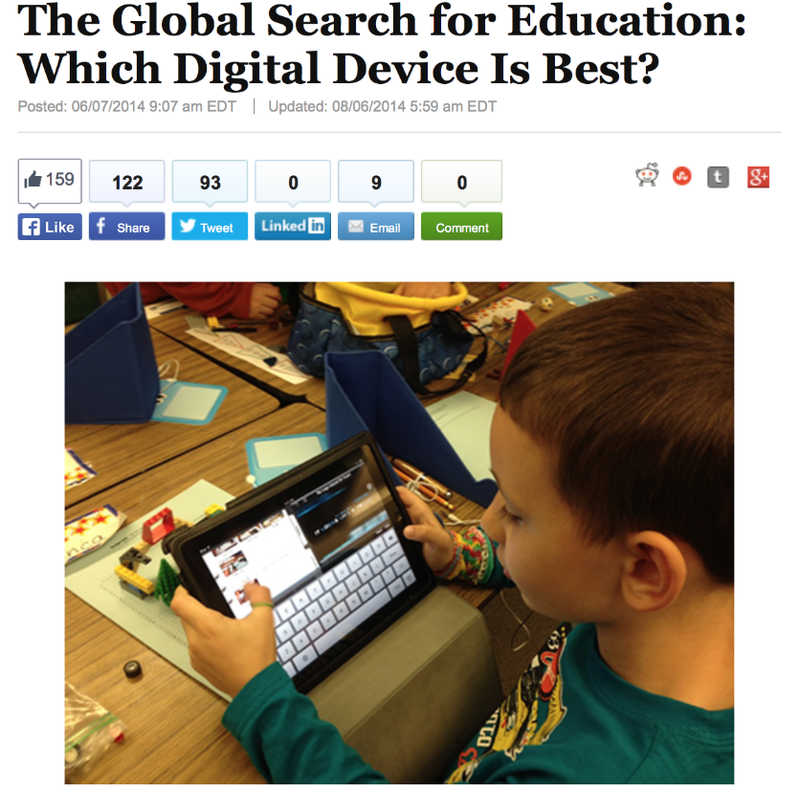 An NBC news reporter contacted me and asked about up-and-coming digital tools for a back-to-school feature. 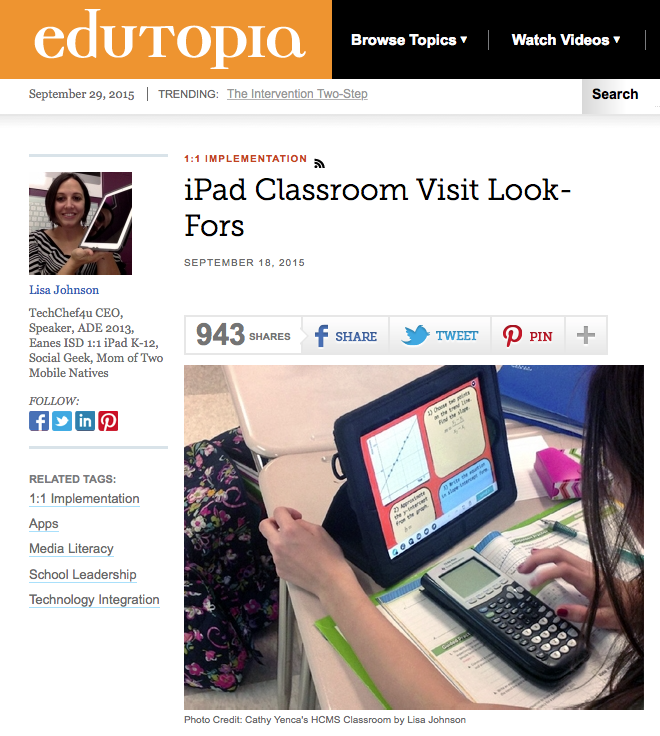 Happy to share some of my favorite tools with the world in this NBC article! 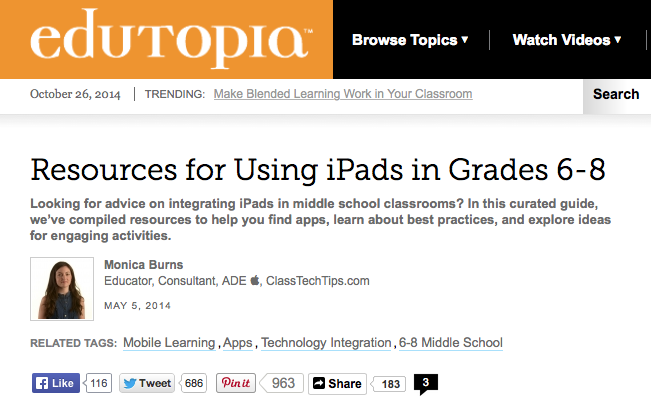 Thanks for showcasing my students and a variety of classroom strategies on Edutopia, Lisa Johnson! 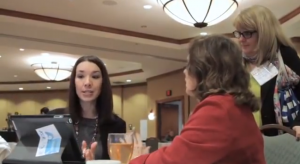 A Tech Forum promotional video for 3 seconds of fame, ha! Thanks for the mention, MorrisCooke! 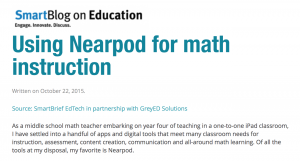 A post about… you guessed it… Nearpod!